 Iran, Jan. 9, 2019 - Members of “Resistance Units,” a network associated directly to the Iranian opposition People's Mojahedin Organization of Iran (PMOI/MEK) across the country, are sending more reports of their activities against the mullahs’ regime. Members of Resistance Unit 893 in Mashhad, northeast Iran, set fire to a large poster of Iranian regime Supreme Leader Ali Khamenei. They also left a sign at the scene reading “Down with Khamenei – Hail to Rajavi,” referring to Iranian opposition leader Massoud Rajavi and Maryam Rajavi, President of the National Council of Resistance of Iran (NCRI), an umbrella coalition of a number of Iranian opposition organizations. In Tehran, members of Resistance Unit 310 put up a sign reading, “A warning to state police: We answer punches with punches and fire with fire.” This sign was placed on the window of a police station. Members of another resistance unit in Tehran wrote “Death to Khamenei” in various parts of the city. In Isfahan, central Iran, members of resistance units also wrote “Death to Khamenei” in various parts of the city. In Qom, a city where the mullahs used to enjoy high control, members of resistance units are seen writing “Death to Khamenei” in various areas. From the Iranian regime’s state-controlled media and remarks heard from numerous regime officials, we can easily conclude that the resistance units have transformed into a major concern for the mullahs’ apparatus. The mullahs’ own media outlets even go the distance by emphasizing the role of other so-called opposition movements to thus decrease the importance and credibility of the NCRI and the PMOI/MEK as the core member of this opposition movement.